Updated window graphics appeal to customers while allowing them to see into the store. 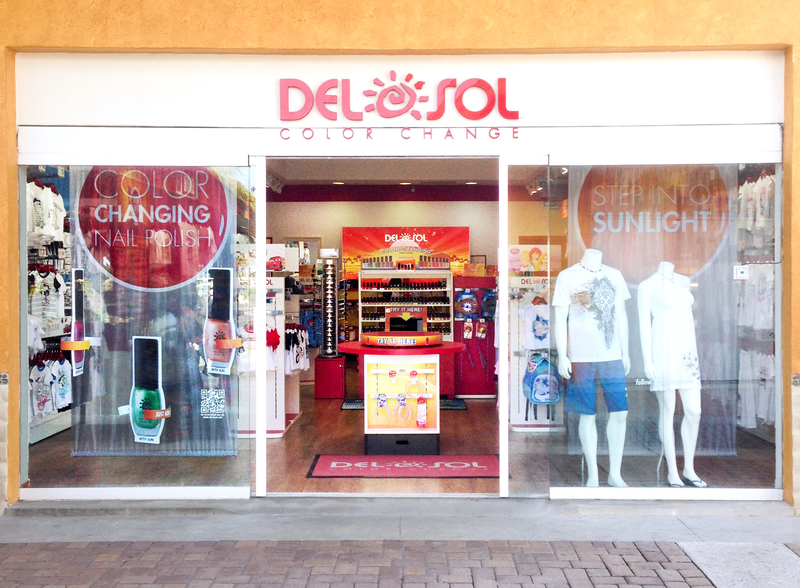 Worked with Store Design team to design new graphics to utilize the large windows in our Del Sol Puerta Maya store located in Cozumel, Mexico. Designed rotating nail polish graphics that show that the polish changes color in the sun. Created backdrop graphics out of mesh material to allow visibility and light into the store. Worked with Design Purchasing team to ensure that all graphics were sent to the correct vendors and that all quantities and sizes were correct.